A book collaboration of epic scale is underway with 14 celebrated and award-winning international writers and creative talents. 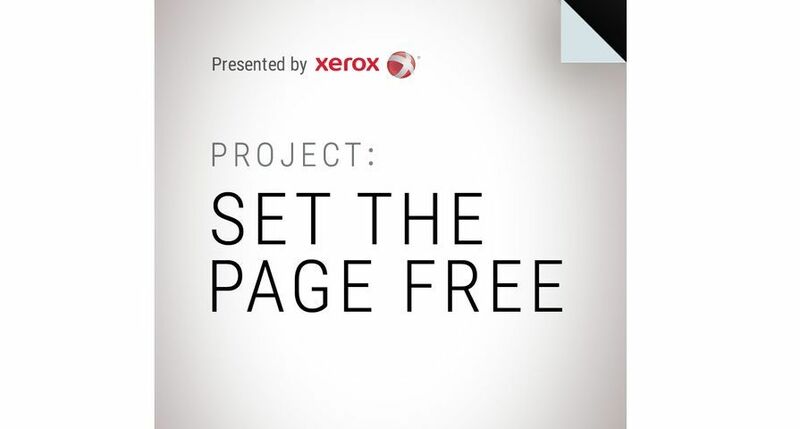 Xerox’s Project: SET THE PAGE FREE will feature chapters by each of the contributors – including a poem and a song – that together tell the ultimate story of the modern workplace, each with a unique creative perspective on the working world. SetThePageFree.com showcases an unparalleled array of contributors. The website – which launches today – is the initial reveal of short video documentaries, exclusive photos, book excerpts and podcasts for the first wave of contributors including Lee Child, Joshua Ferris, Roxane Gay and Gary Shteyngart. In the weeks ahead, additional content from Jonathan Ames, Billy Collins, Jonathan Coulton, Sloane Crosley, Jonathan Safran Foer, Chip Kidd, Valeria Luiselli, Alain Mabanckou, Aimee Mann and Joyce Carol Oates will be revealed.